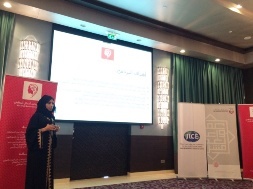 JICE implemented the second workshop for Emirati Female Job Seekers in the field of Entrepreneurs from April 19th to 23rd 2015, which was specially designed for females residing in Al Ain City in the Emirate of Abu Dhabi, the UAE. This workshop was carried out based on the Cooperation Agreement with Abu Dhabi Tawteen Council (ADTC), a governmental entity established to develop and support Emiratization* strategies and plans in both the public and private sectors in the Emirate of Abu Dhabi. Following the well-received first workshop held in February 2015, we invited consultants from Japan and a lecturer from Abu Dhabi Chamber of Commerce and Industry – Abu Dhabi Business Women Council to deliver lectures regarding marketing, accounting and finance. 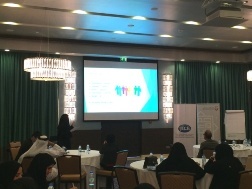 Attendees proactively practiced based on those lectures and completed updated versions of their business plans. The third workshop is scheduled in June 2015. JICE will continue to make further efforts towards the success of the coming workshops. *Emiratization: Name of the initiative by the government of the UAE to employ its citizens in a meaningful and efficient manner in the public and private sectors.